Northern Lights Cedar Tubs and Saunas provide three different sauna heating methods: 1 ) Electric, 2) Infrared and 3) Wood fired. Each has its advantages. With our Hybridtm Sauna you can combine both infrared and electric! For a traditional ‘wet sauna’ or ‘steam saunas’, we use our stainless steel. 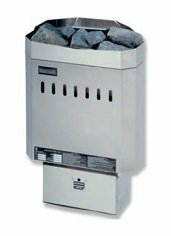 This type of heater provides maximum heat output 150- 200 degrees Fahrenheit, and can either be used as a dry heat or water can be added to the rocks to produce a steam heat that will rapidly open the body’s pores and cause the body to sweat. The steam generated by the sauna improves the respiratory system. These heaters require 220 VAC power and usually draw 40 amps so you should ensure your electrical panel can handle this power requirement. The operates at a much lower temperature 120-150 degree Fahrenheit. Some people find this a more comfortable temperature to handle. The Infrared uses a light wave that can deeply penetrate the bodies’ surface of up to 1.5”. The Infrared Sauna is great for muscles and is used heavily in sports injury recovery. Very little heat up time is required and the power requirements are usually 120 VAC with a 15-20 Amp breaker being required. 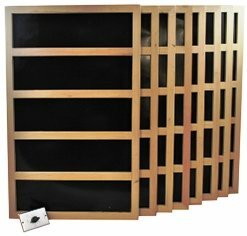 Because no steam is produced these sauna heaters can quickly be installed in any household location without the need for drainage or a steam venting system. Is the power house of all traditional Finnish saunas. It is the best type of heater for generating and retaining maximum heat and can heat much larger areas than electrical or infrared heaters. Its large body of rocks, allow it to produce a larger amounts of steam. It’s only draw back is that it is only suited for exterior sauna applications. The glass door on the fire box provides a warm and pleasant ambiance. 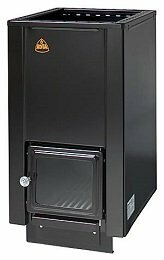 It is very efficient and requires very little wood to operate, making it the most cost effective of the 3 heater types.